Security is always the most important concern for home owners and business people alike. With growing technology, the number of security threats has also increased. Any intruder will get inside your premises by cracking your locks open, hence weak or outdated locks are a huge leeway in your premise’s security. It is always recommended to stay abreast of technology advancements and install high-security locks in your home or office. 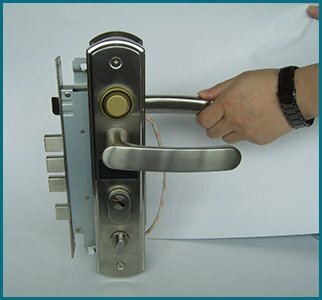 You can rely on Father Son Locksmith Shop to set up an apt security system for your premises. Whether it is a deadbolt on your home door or a digital security lock for offices, we can do everything it takes to secure your premises within The Colony, TX area.